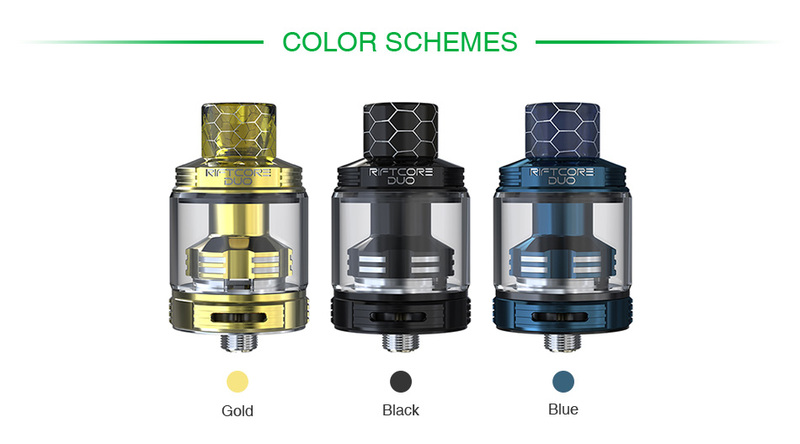 We proudly introduce the latest Joyetech Riftcore Duo Atomizer 3.5ml With a new concept for a rebuildable tank, the Joyetech RFC features a coil-less design. It frees your hands from countless wires and sophisticated building. The double heaters are so durable that they are capable of sustaining a large quantity of puffs. And the RFC heater passes the safety test from the independent US laboratory. Top Refill and Bottom Airflow System.